Lace up your skates and hit the outdoor rinks…right here in Markham. Among them is the new skating rink in Downtown Markham, unveiled in early December, beside the Pride of Canada Carousel at 8080 Birchmount Rd. The Downtown Markham rink and The Pride of Canada Carousel is open weekends starting at 11am. It is also open every day during Christmas break from 12-6pm, with the exception of Christmas Day. In addition people can attend GTA’s largest artificial outdoor ice rink, located at the Markham Civic Centre on the northwest corner of Highway 7 and Warden Avenue. Those who do not have skates having nothing to fear the centre has a skate rental hub and a warm place for putting on your skates. If you are looking for a rink closer to home and want to stay a bit warmer, Markham has several indoor ice rinks across the city including Angus Glen Community Centre, Markham Village Community Centre, Centennial Community Centre, Mount Joy Community Centre, Crosby Community Centre, Clatworthy Arena, Milliken Mills Community Centre and Thornhill Community Centre. 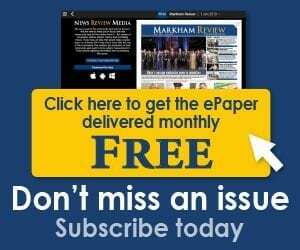 Visit www.markham.ca for public skating information. 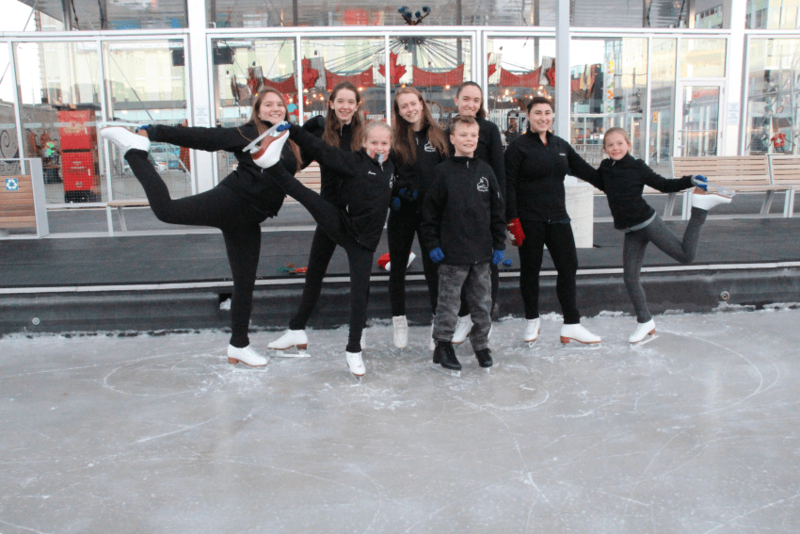 Photo: The Markham Skating group showcased a few of their fancy moves at the Downtown Markham rink opening celebrations.